Found Remains are a relatively new American label, launched in 2016 and having issued six cassettes in that time. Armed with a tag line of “An electronic label adhering to the shadows of thought and sound” it clearly alludes to stylistic diversity within their catalogue, where following below are reviews of two of the recent June 2018 batch. It should be apparent to long term readers of Noise Receptor Journal that harsh noise does not really feature in my listening preferences, and while the publication title includes the word ‘noise’ that functions more as a play on words (but the full explanation of that wordplay is not warranted here). Yet in this context I am aware that Kjostad is a project of Stefan Aune, who is also of the harsh noise project Breaking The Will, which for reasons outlined above I know by name only. However with Kjostad, it would seem that Stefan is intent on blurring the line between environmental derived sounds (aka field recordings) and man-made elements. In effect the title of Environment Electronics is a perfect synopsis of intent and approach. Track titles such as Granite Canyon Falls, Birdsong 1# and Amplified Forest gives a clear indication of originating sound sources detectable within the sonic tapestry, which are further manipulated through studio sonic treatments. Granite Canyon Falls functions as a short opening cut, while the lengthy following piece Lake Day is an exercise in elongated and abstracted drone minimalism (is that perhaps the low hum of a boat engine? ), while light washes of static merge and counterpoint singing birds, before a minimalist ‘crunch and rumble’ workout draws central focus. Boreal (Cutting into the Roots of the Timber) has a deft organic tone to the muddied sonic minimalism which gradually builds intensity with a series of scrabbling looped textures. Birdsong 1# functions blends the obvious bird calls with light metallic ‘clicking’ loops and minimalist static, while final track Amplified Forest spans close to 10 minutes, and is the most animated composition. Featuring bass rumble and mid spectrum static through which bird songs on occasional can be detected, there is a controlled choppiness to proceedings which at times verges towards the unhinged, but also stopping well short of a full noise attack. From concept to execution this is extremely well-done tape, which carefully balances the organic and man-made tonal elements, and although clearly field recording derived Environment Electronics is far from an academic exercise, given the end result sits well towards an industrial noise approach. This is the first release I have heard from Cody (aka C.L. Lobbestael), where based on this EP the produced music is of an evocative and understated cinematic ambient type, which is effectively subtle synth exploration of melody and mood. 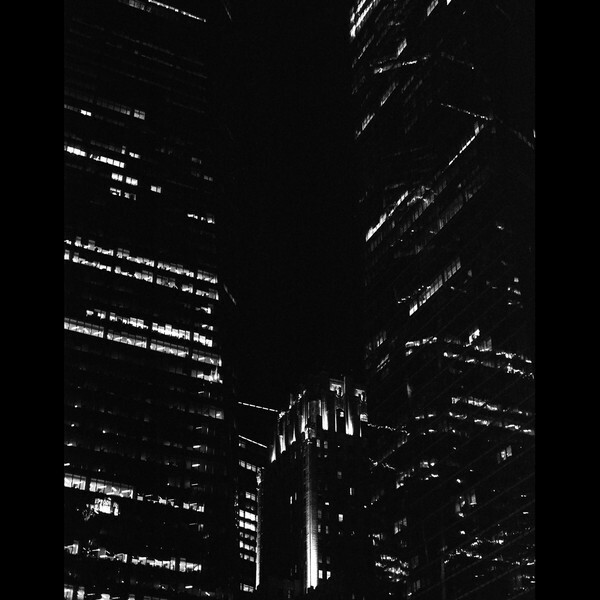 Like the cold and clinical nighttime image of a city skyscrapers which adorns the cover, a distant and forlorn melancholia permeates the tape, where abstracted orchestral toned and minor keyed melodies evoke late hours melancholia which comes from urban desolation. 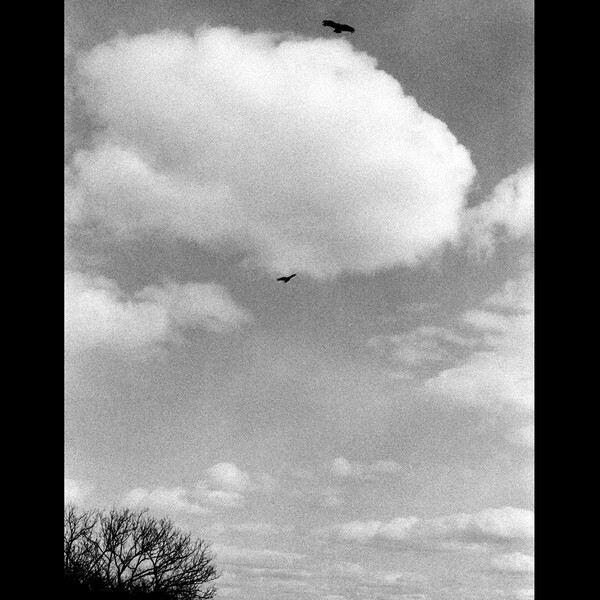 With a strongly filmic sonic aura of swelling grey tones bleeding off into the blackness of the murky horizon, the atmosphere across the 4 tracks and 28 minutes is consistently bleak, yet warmly enveloping. Likewise, the central melodic motifs provide a degree of consistency, but noting these equally shift and mutate across the four tracks. Being subtle, moody and contemplative, personally I have found this tape an extremely enjoyable one, particularly as it functions to counter-point the bulk of harder, harsher and aggressive material covered by Noise Receptor Journal. In a word – recommended. This entry was posted in 2018, dark ambient, drone, experimental, Found Remains, industrial, noise by noisereceptor. Bookmark the permalink.